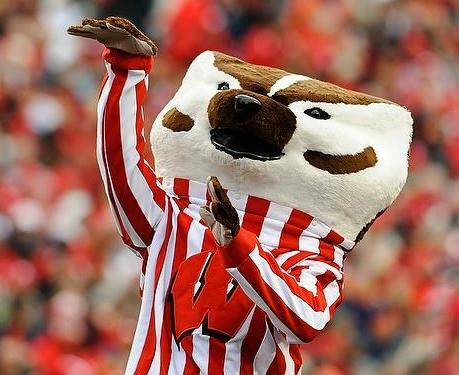 I found a number of things in my office while packing up for UW-Madison. I officially move later this week. 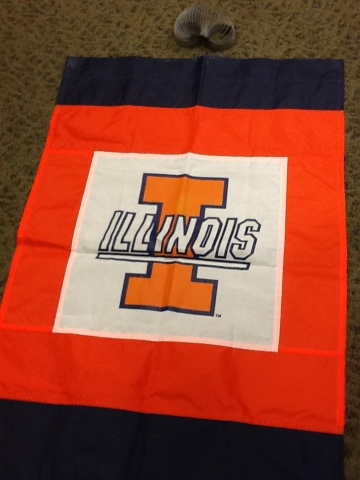 Giant Illinois flag (go Illini!) and my office slinky. 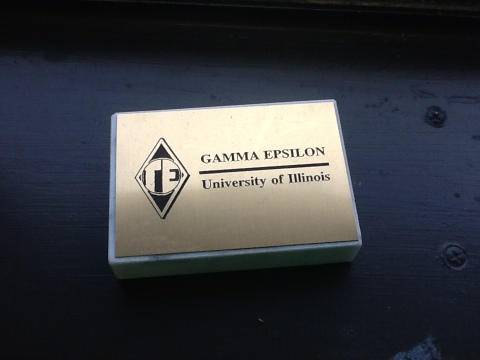 I’m definitely hanging up my Illinois stuff in my new office, even it upsets the Wisconsin students. 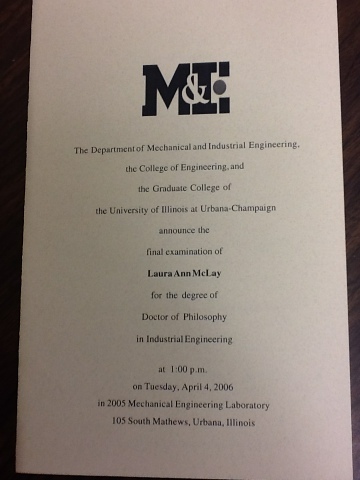 Printed announcements for my dissertation defense on April 4, 2006. Also, see the next item. A large filing cabinet full of papers. I definitely killed a small grove of trees, potentially a small forest. 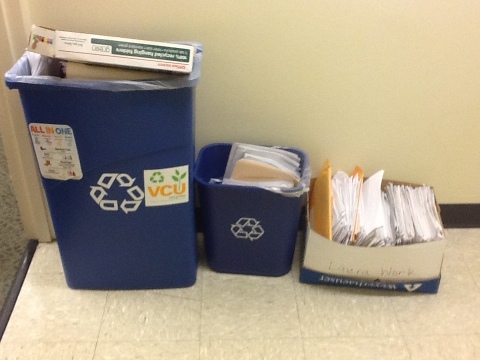 It took a few days to move all of the papers out of my office. This was 1 of 3 rounds. Most of the papers were very old – from my first year or two on the job. I got better at minimizing paper as I got older. 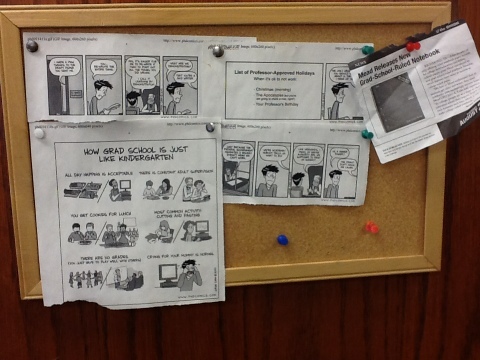 Office bulletin board filled with PhD comics and an Onion article. Lots and lots of Post-It notes and paperweights. Number of times I have used paperweights to keep paper from blowing away: 0. It’s never windy in Richmond, Virginia. These might be more useful back in the Midwest. 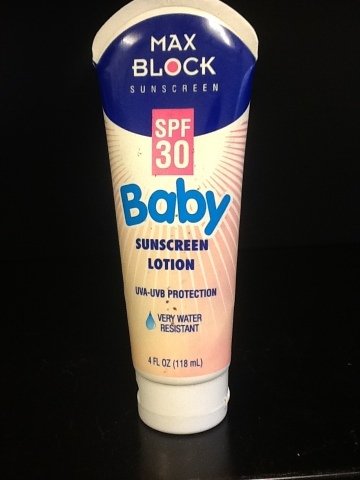 I have emergency sunscreen within arm’s distance at all times. 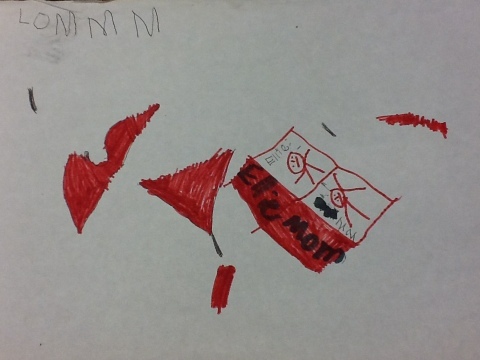 Pictures drawn by my oldest daughter. This is her and me in the elevator in my old building. She drew this 5ish years ago. I also found a few outdated pictures of my kids in my office (not too outdated — all three kids are in the pictures). The background images on my computers pictures of my kids taken last month. 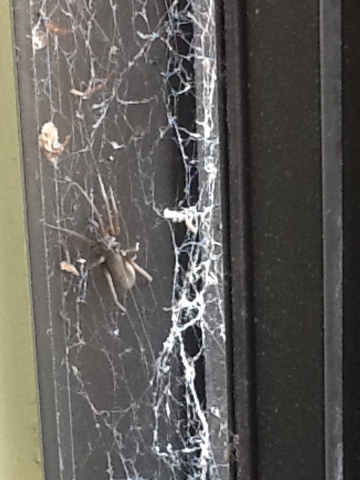 The giant hairy spider that lives outside my office window whom I’ve occasionally tweeted about. I probably won’t miss him. This entry was posted on Monday, May 20th, 2013 at 8:14 am	and posted in Uncategorized. You can follow any responses to this entry through the RSS 2.0 feed.